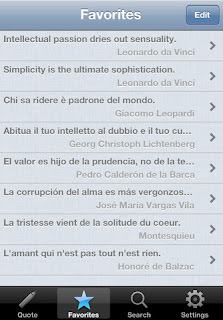 Developer Quote: "Quotes Folder has a collection of quotes, maxims, aphorisms, and proverbs to read and share across 4 languages..."
- 4 independent archives of quotes, one for each language. - Fast switching between archives languages. 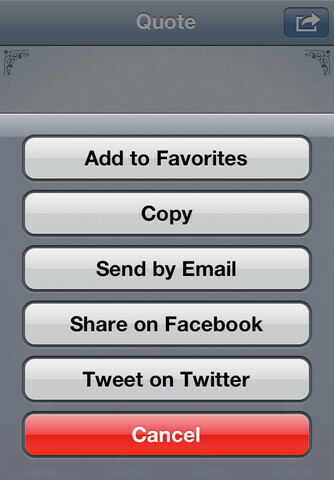 - Send quote by email. 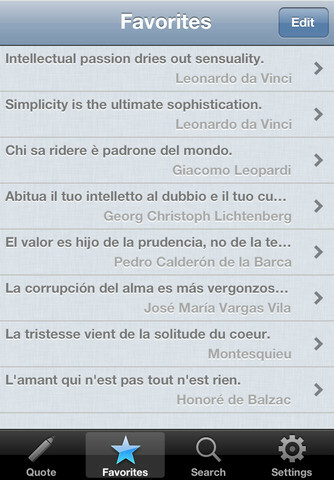 The clean and simple interface of Quotes Folder is easy on the eyes and no trouble to navigate. 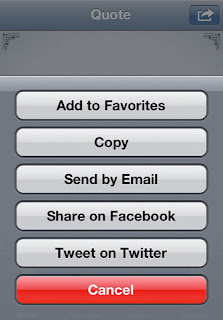 A unique part of this app is the multi-lingual feature of 4 different languages which will be helpful to many users. The huge, searchable quote database and social network sharing is just the icing on the cake. This is a great time of year to be including quotes and proverbs in your holiday cards or with gifts. Your thoughtfulness in selecting a special saying personalized just for a friend will be well received! COOL CONCLUSION: "Quotes Folder will bring thoughtfulness and reflection to your speech and words as you incorporate wise sayings into your everyday life."